Small businesses can struggle to recruit top talent against large corporations, especially when it comes to the large benefit packages that corporations can offer. Following salary and health care, retirement benefits are the third-most important factor in small businesses retaining their employees, according to a MetLife study. So if you own a small business, offering retirement benefits like a 401(k) helps communicate to your potential and current employees that you’re invested in them, and their future. Here we answer some of the most common questions about 401(k)s. As always, this is a resource and is not meant as financial advice. Make sure you talk with your accountant if you’re thinking of providing retirement benefits for your business. A 401(k) plan is a qualified employer-established plan to which employees can make contributions from their salary on a post-tax and/or pretax basis. 401(k) stands for the subsection 401(k) in the Internal Revenue Code, which describes the account. What’s the difference between a traditional and a Roth 401(k)? You can offer a traditional 401(k) or a Roth 401(k) plan. A traditional 401(k) plan allows employees to make pretax contributions to their retirement savings, but it taxes any withdrawals made. A Roth 401(k) offers employees a different tax-advantaged option. Employees make contributions with after-tax dollars, but any withdrawals are fully tax-free, as long as certain conditions are met. Access benefits made for small businesses. How does an employer benefit from a 401(k)? Offering retirement benefits can help recruit and retain top talent. To offset setup and administrative costs, small businesses can also qualify for an up-to-$500 credit annually for the first three years in which they offer a 401(k) plan. In addition, as an owner of your business, you can also participate in the 401(k) plan. It’s easy to want to spend all your savings and cash on growing your business. But opting into the 401(k) plan yourself will guarantee you are saving for your future, too. What requirements must a 401(k) plan meet? While it’s great to save, there are contribution limits, determined by the IRS. Employees may contribute up to $18,500 to their 401(k) in 2018 (up from $18,000 in 2017). Employees who are 50 and older also can make additional “catch-up” contributions up to $6,000. There are specific reasons or life events that allow employees to make withdrawals from the account, such as the employee’s retirement, death, disability, or separation from employment. Other reasons include if an employee reaches the age of 59.5, or experiences a hardship as defined and permitted by the plan. What role does the employer play in 401(k) plans? You first have to select a plan that matches the needs, size, and budget of your business. Communicate your offerings. Draft a written plan of what you’ll offer and share that information with eligible employees. Once employees have signed up, you need to monitor and follow all 401(k) reporting requirements. This means developing a recordkeeping system to make sure that you are tracking your employees’ contributions. How do you choose the best funds to offer to your employees? The contributions you make to your 401(k) are invested in a portfolio made up of mutual funds, stocks, bonds, money market funds, savings accounts, and other investment options, as permitted by the plan. Beneficial funds allow your employees to choose the types of investments they make. The fund choices are transparent, have a low fee, and follow well-researched investment approaches. Again, speak with a finance professional while you are researching options. Should you offer matching contributions? Now that you’ve put all the hard work into selecting a fund, you want your employees to take advantage of it. It’s not required, but many employers choose to match employees’ 401(k) contributions up to a certain percentage. You can offer to match anywhere from 1 to 100 percent of what employees contribute. You also get a tax benefit from matching your employees’ contributions. You can also require a vesting schedule for employees to earn their 401(k) match, meaning employees must work for the company for a preset period of time before they are eligible to utilize the match. What will offering a 401(k) plan cost me? 401(k) fees are categorized into three sections by the Labor Department, including plan administration fees, investment fees, and individual service fees. Plan administration fees: Encompassing day-to-day administration, these fees include services like accounting, legal and trustee services, and plan recordkeeping, as well as electronic access to plans, daily valuations, and other features. These may be deducted directly from returns, or paid overall by you, as the employer. Investment fees: Investment management and the associated services account for the largest portion of fees. These are deducted directly from participants’ investment returns. Individual service fees: Additional service fees may be set for participants who take advantage of specific services, such as taking a loan, and are charged on an individual basis. Fees differ by plan, but they are required by law to be “reasonable,” and usually vary from 0.5 percent to 1.4 percent of the total managed assets. Keep in mind, any plan with more than 100 participants undergoes an annual audit, which can add to the cost. If you have 100 employees or fewer, you can receive a credit for the first three years you have the plan. It’s important to do your research in this area to keep costs low. Are there other retirement plans I can provide to my employees? Who can establish the plan? Are contributions made on pre- or post-tax compensation? Many small business owners opt to administer SIMPLE IRAs for their employees as opposed to 401(k)s. SIMPLE stands for Savings Incentive Match PLan for Employees and as the name implies, it allows employees and employers to contribute to traditional IRAs set up for employees. Make a nonelective contribution of two percent of each eligible employee’s compensation (even if the employee is not contributing themselves). 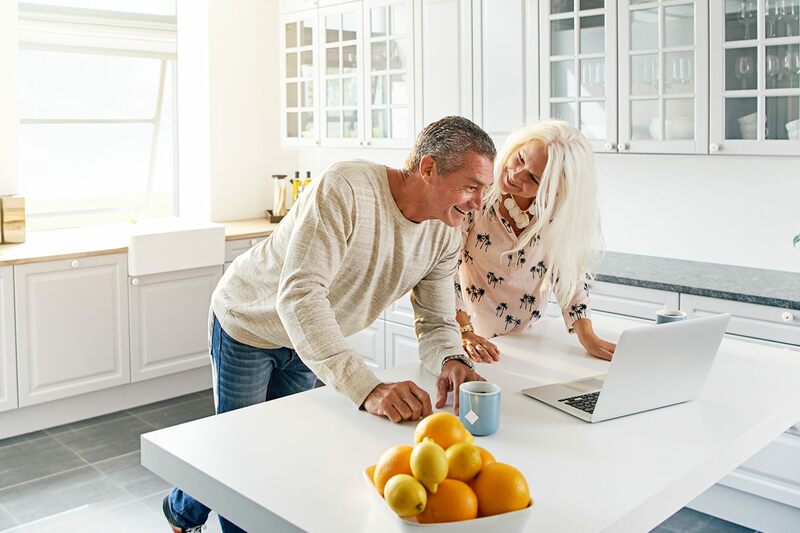 Because SIMPLE IRAs are easy and inexpensive to set up and operate, they are well suited for small employers who don’t have a retirement plan. But employer contributions are less flexible in this type of plan and it has lower contribution limits than other plans. If you have more questions about retirement account options, take a look at the IRS website. Square Payroll partners with leading benefits providers so you and your team can access 401(k) as well as health insurance, workers’ comp, and more — all in one place. If you already use Square Payroll, you can enroll in benefits directly from the Square Payroll dashboard. You can choose the benefits that best suit your needs and budget, and we’ll take care of everything else, from employee enrollment to calculating deductions and contributions for each pay run. Square Payroll also determines the taxability and reporting requirements for each benefit to make sure your taxes and tax forms are accurate. Create an account with Square Payroll to learn more about signing up for benefits. Or, if you already have benefits that you want to sync with Square Payroll, learn about adding your benefits to Payroll in our Support Center. Should You Offer Your Employees Benefits (and How to Do It)?